Group photo at the rooftop farm in The University of Hong Kong. 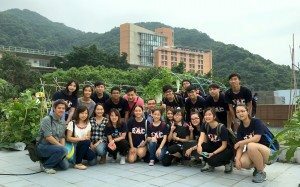 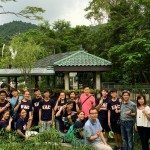 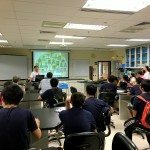 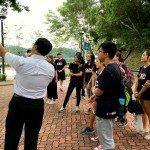 On Saturday 3rd September, 2016, Stanley Ho East Asia College (SHEAC) successfully held a day trip for a group of 15 students, led by College Fellows Mr. Walter Wan and Dr. Angus Lam (FST), and Resident Fellow Dr. Sancia Wan, to Hong Kong to visit organic farming facilities in three universities. 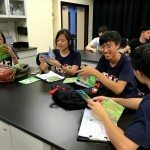 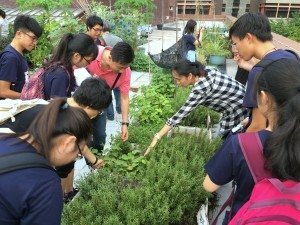 Not only did this activity provide a peer learning opportunity to students, but it also helped them gain basic knowledge about how to plan and run a rooftop farming project in the College in the near future. The EdUHK team introducing different types of plants and the ecosystem facilities in the eco-garden to SHEAC delegation. 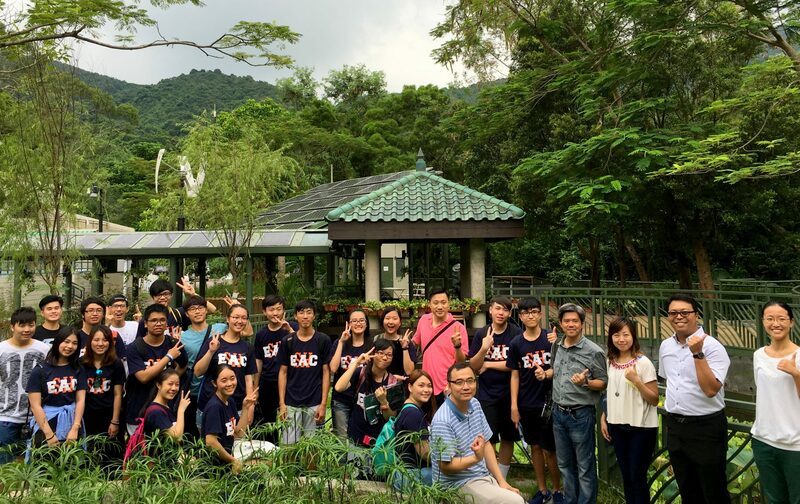 In the early morning, the group travelled from Macau to Hong Kong. 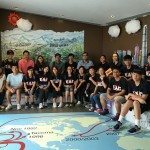 The first activity was to visit the Jockey Club Museum of Climate Change located in the Chinese University of Hong Kong (CUHK). 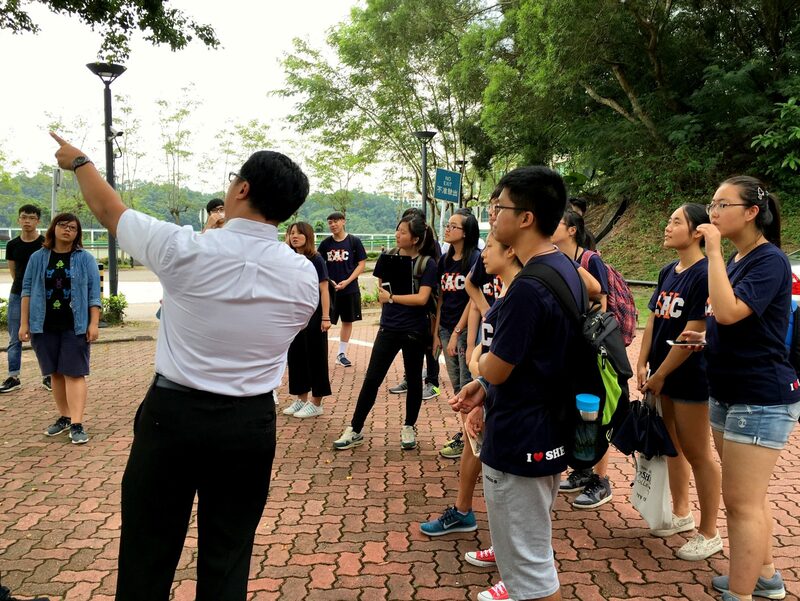 During the guided tour, based on the artefacts collected from and information related to the “three poles” (referring to Antarctica, Artic, and the Himalayas) and climate change exhibited in multimedia forms, students acquired a deeper understanding of sustainable development and the importance of practicing green lifestyle. 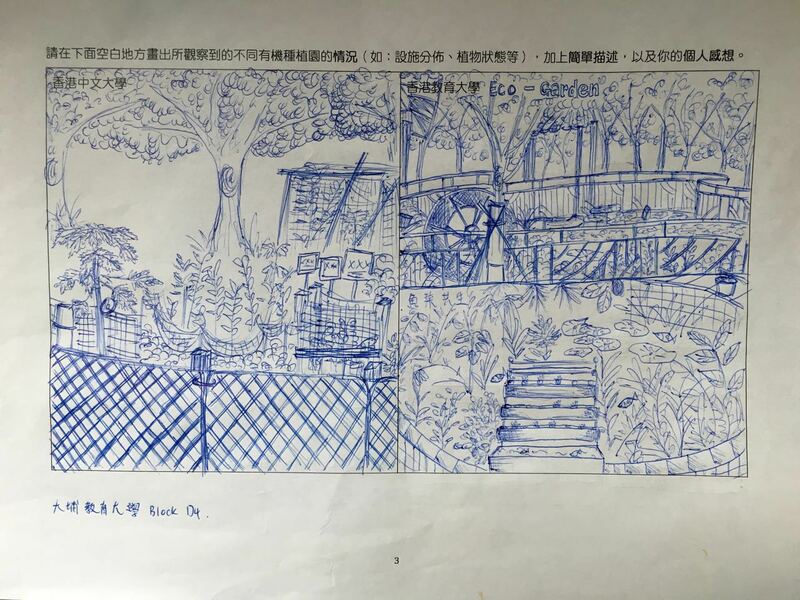 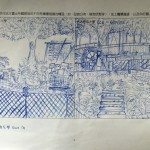 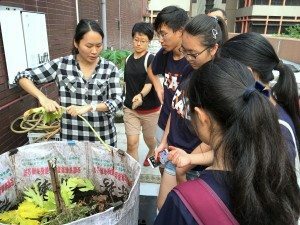 CUHK staff and students are offered space in several colleges and rooftops of some buildings to get engaged in planting or farming activities. 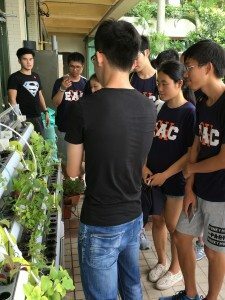 Among those, SHEAC students visited the organic farm in New Asia College to learn how her members participate in the farming project. 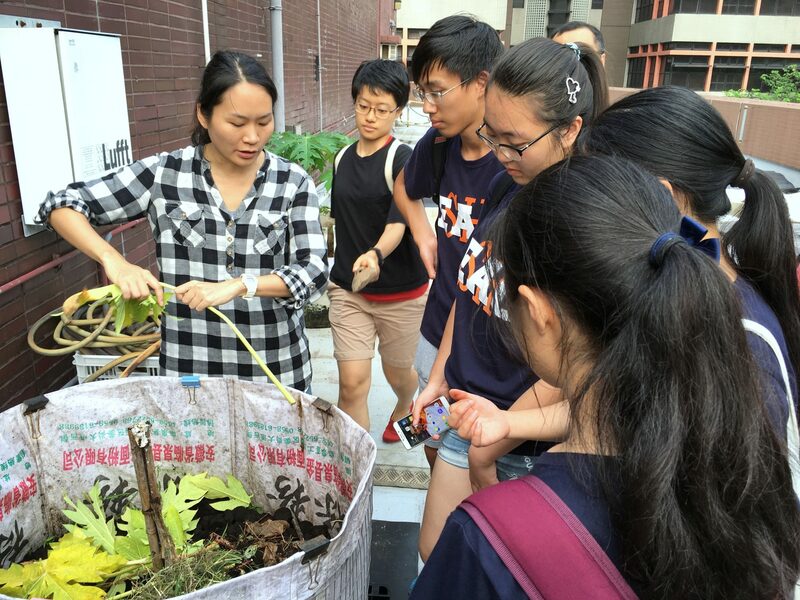 Students learning the process of composting utilizing coffee grounds and kitchen waste collected from cafes and restaurants on campus. 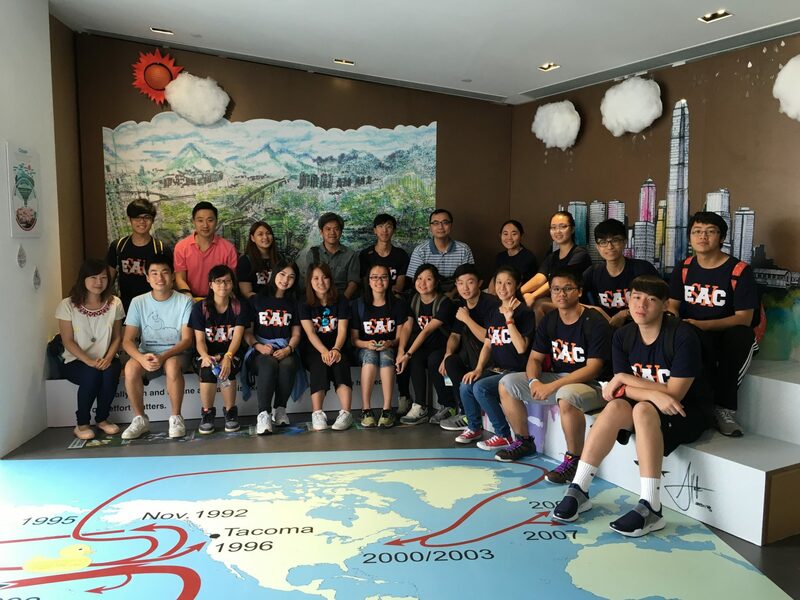 In the afternoon, the SHEAC delegation was warmly received by Dr. Frank Cheang, Assistant Professor of the Department of Science and Environmental Studies at the Hong Kong University of Education (EdUHK), and his team of colleagues and students. 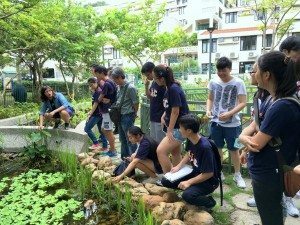 They elaborated in detail the research-oriented and well-organized aquaponics facilities and eco-garden in EdUHK. 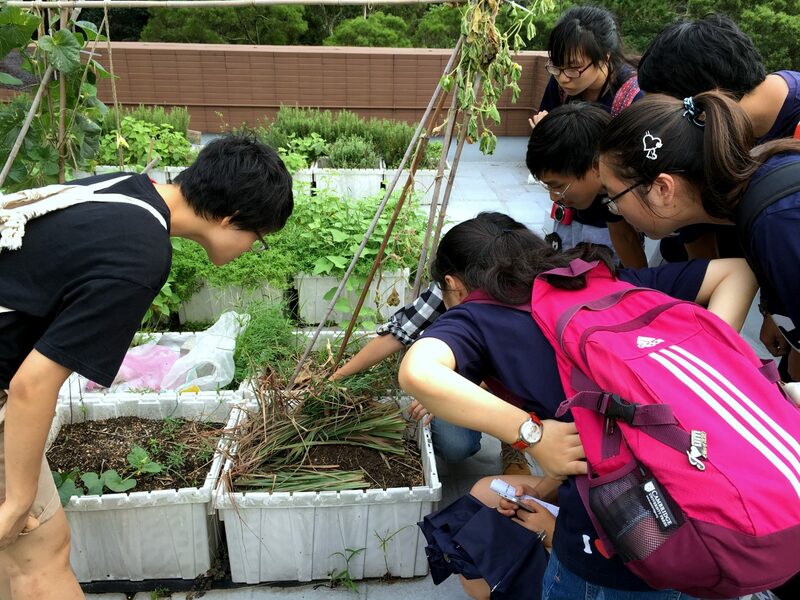 The last destination of the trip was The University of Hong Kong (HKU) where the delegation visited her rooftop farm. 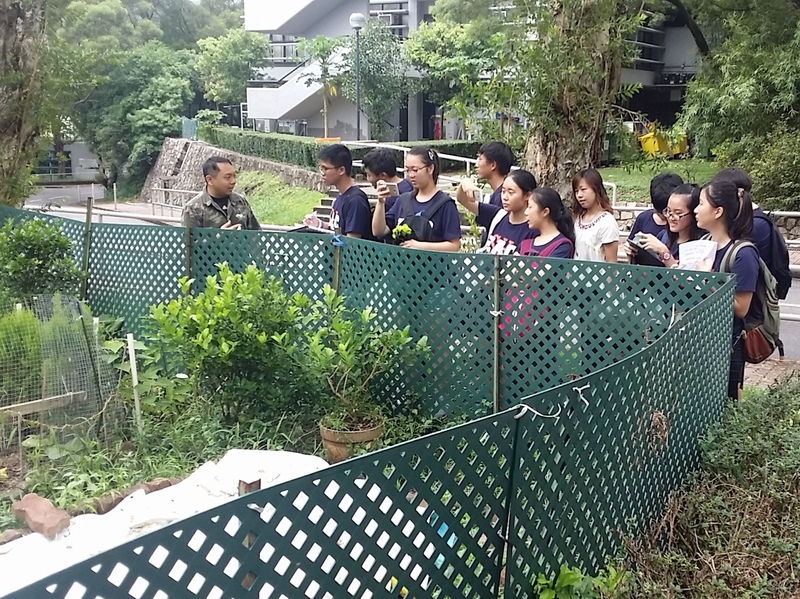 They were impressed by the various types of vegetables and herbs, as well as by the eco-friendly facilities, such as the natural composting technique applied, in the farm. 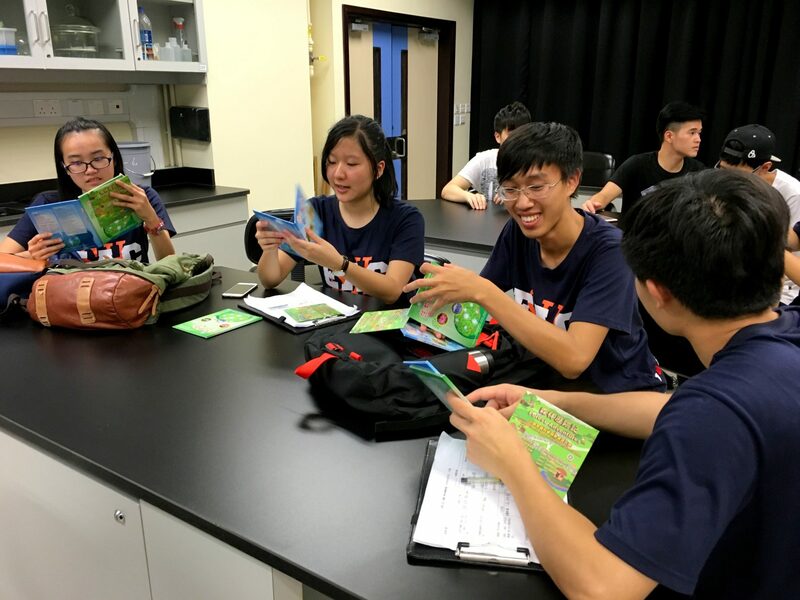 Students reading the calendar of farming for growing vegetables in Hong Kong all year round. . 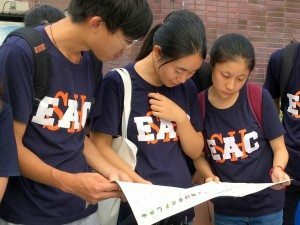 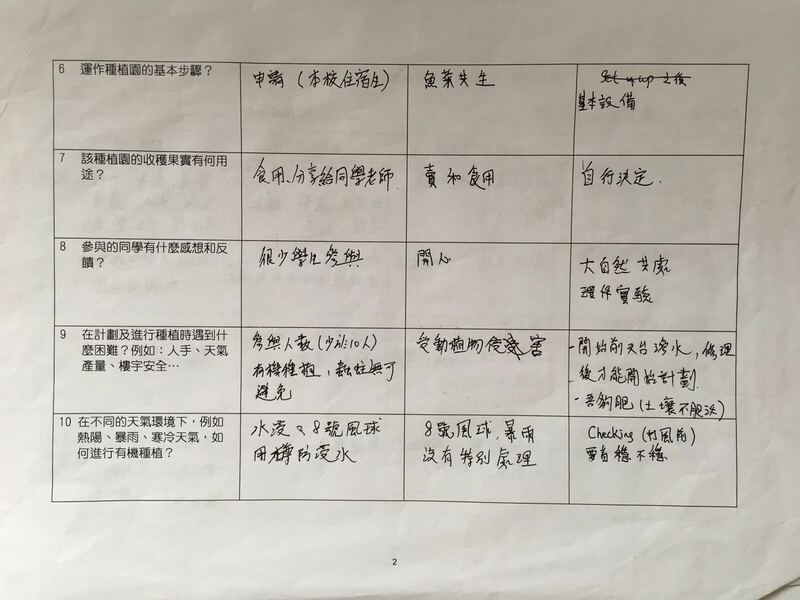 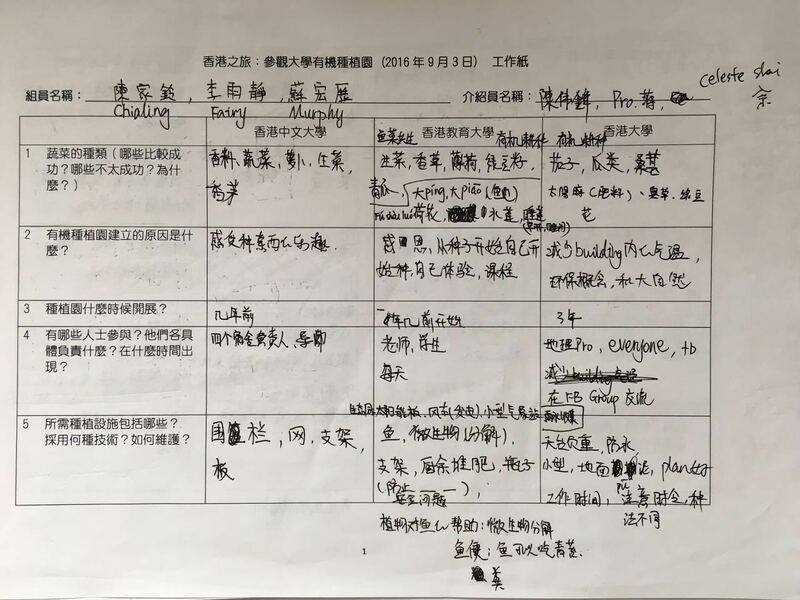 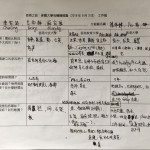 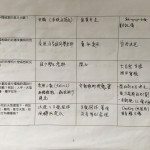 Despite the short stay, by deep observation and comparing between the examples of the three universities, not only have the students obtained foundational knowledge about organic farming and green living, but they have also realized the importance of environmental protection and green campus policy. 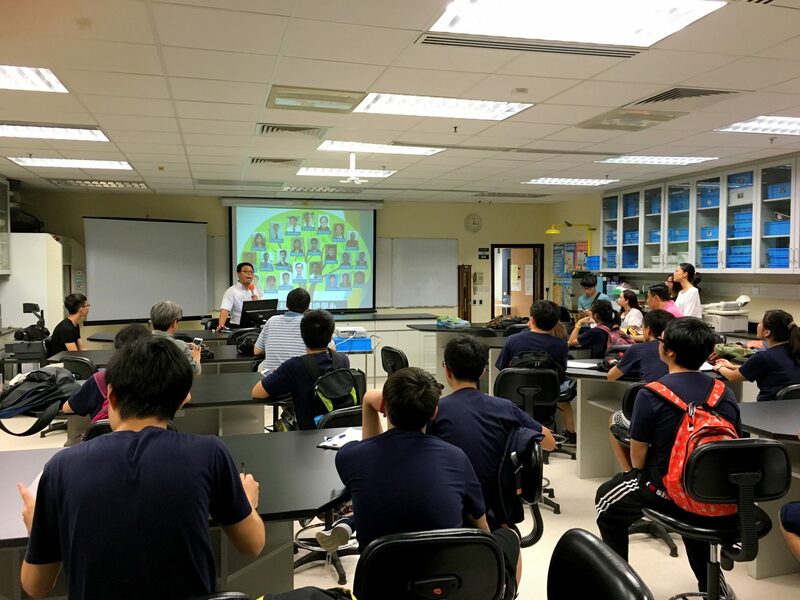 Upon return to the College, the students shared their learning experience with others. 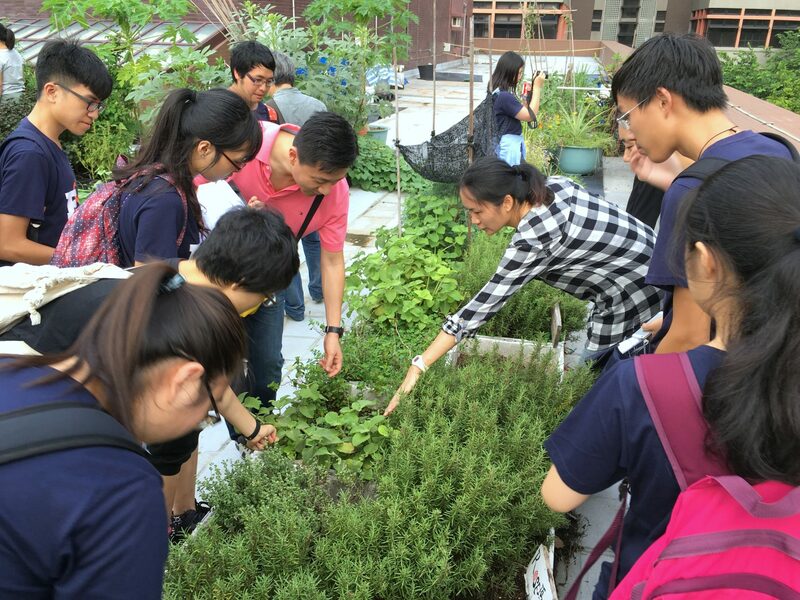 Students leaned to observe the growing condition of the herbs in the rooftop farm. 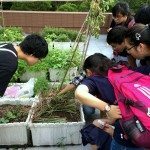 A student from New Asia College of CUHK gave an introduction about their organic farm. Students learning the aquaponics system in EdUHK.